Brisbane, the Sunshine State’s capital, has been dubbed as one of the most liveable areas in Australia. 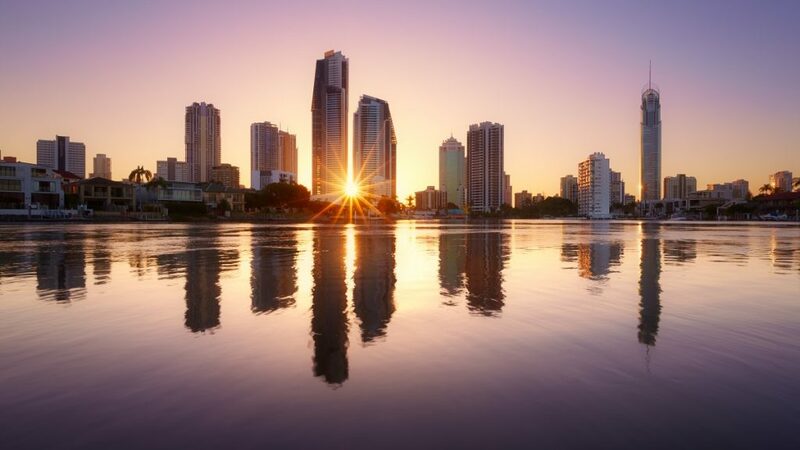 With a sub-tropical climate and a progressive economy that offers a relaxed lifestyle, Brisbane has attracted many local and international migrants. Compared to Sydney and Melbourne, Brisbane offers a quiet and friendly lifestyle despite being a busy city with a population of two million. The influx of international migrants has contributed to Brisbane’s diverse cuisine options. On Sunday, the Brisbane River becomes a popular hub for market stalls. It’s not just the relaxed lifestyle, the sub-tropical climate and the friendly neighbourhood that has been attracting migrants, specifically first home buyers, to Brisbane. A recent report from real estate authority Domain Group revealed that Brisbane has become a model city for housing affordability in Australia with 92 suburbs having a median below the average purchasing power of first-time home buyers. This provides first home buyers many options that outweigh local choices. Sydney, for example, has only 18 suburbs with affordable medians, the Domain report said. First home buyers and investors from New South Wales and Victoria are seeing Brisbane as a viable, long-term living alternative due to its affordability, positive outlook and high rental yields. Figures from SQM Research in 2017 reported that the average asking price for a Brisbane home was $605,800. In Melbourne, the asking price is $826,000. Meanwhile, Sydney’s median house prices hit $1.5 million – a figure that led Sydney into becoming the second most expensive in the world, following Hong Kong, for owning property. Latest figures from the Australian Bureau of Statistics found that one in five Queensland home buyers in January 2018 was a first homeowner. This is a five-year high perceived to be a result of the government’s successful first home buyer grant. As of July 2016, more than 8000 grants with a total of $162 million have been approved in line with the government increasing the first home buyer grant from $15,000 to $20,000. This move aimed to address the housing supply issues and assist first homebuyers into home ownership when affordability can be a hurdle. According to the Queensland Treasury, the first home owners grant had also boosted investment in new housing stocks with ongoing advantages for local contractors and suppliers in the building industry. Experience the conveniences of living in an affordable new apartment in South Brisbane in a Citro West End apartment. Strategically located near the Brisbane River and the central business district, the apartments are designed to be an ideal living space in Brisbane’s sub-tropical climate. Surrounding the residential development is a vibrant and eclectic neighbourhood that fuses a dynamic culture with a variety of shops, markets, cafes and an overall lively and colourful lifestyle. Citro Apartments supports Queensland’s grant for first homeowners. The company has a friendly staff that can assist residents with the floorplan, design guidelines and other factors to consider when buying off the plan. Register your interest today. Call us on 0439 111 899 for any enquiries.